It has been really cold, and it seems like it has been this cold all over the US as well as Italy, I get daily reports from my mother-in-law on the weather. One of Southern Italy’s best comfort foods for cold weather is a stewed meat that the Neapolitans call La Genovese, who’s name would lead people to believe that it was a Northern dish, but it is a purely Neapolitan stew. 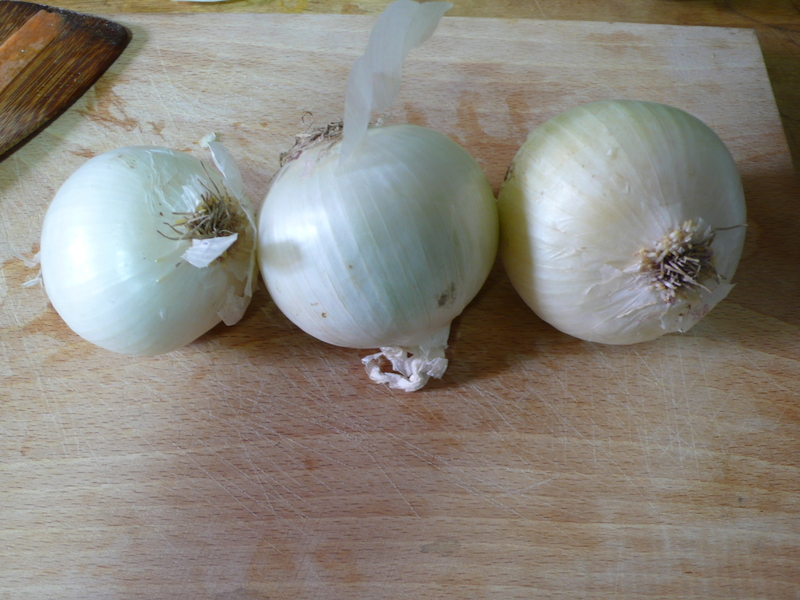 My husband makes a version of a Genovese that uses about 3 pounds fewer onions than the original recipe calls for, those onions are delicious, reduced to a sweet pulp after about 6 hours of cooking, but they will sit on your stomach for days after you have had them. Considering the way that we eat most Neapolitan sauces, which makes them last for three different meals and three different days, multiply that by two and think onions, it’s too much. Place the meat in a heavy-bottomed, 7- to 8-quart pot. 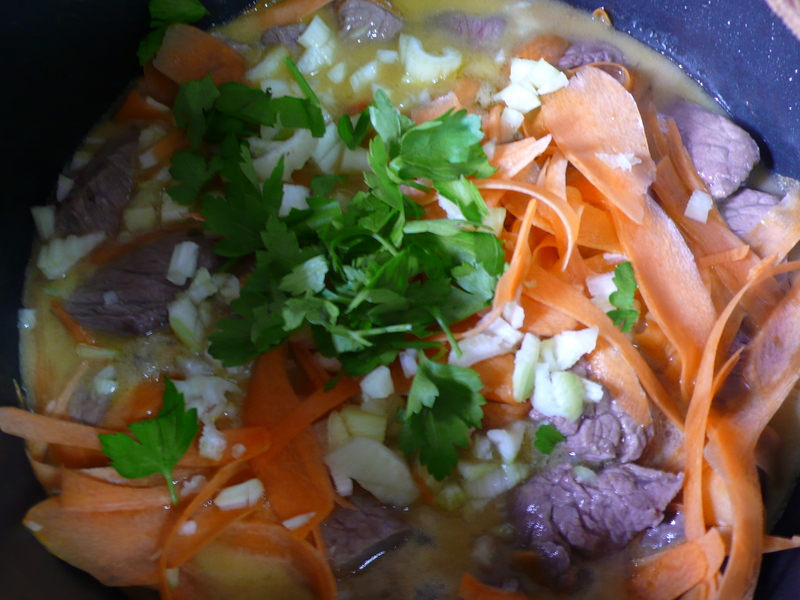 Surround and cover the meat with the onions, carrot, celery, salt, parsley, marjoram, and 8 cups water. Bring to a simmer and cook uncovered over medium-low heat, simmering gently but steadily, and stirring every so often. As the liquid reduces in the pot and the meat becomes exposed, make sure to turn the meat regularly – every 20 minutes or so – so that it cooks evenly. 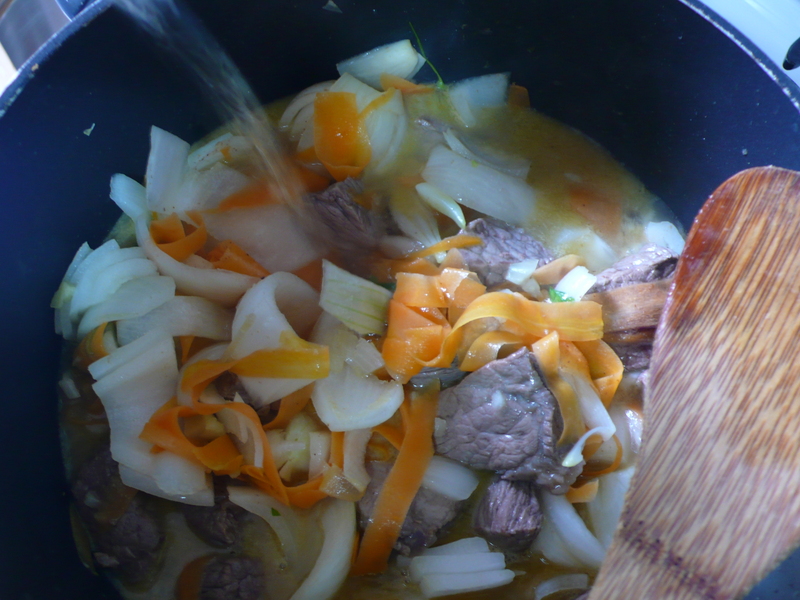 After about 3 hours, most of the liquid should have evaporated, the onions should be almost creamy, and the meat should be tender. Even if the meat is not as tender as you would like, remove it and set it aside. It can be further tenderized when reheated. Raise the heat under the onions and add the wine. Boil, stirring frequently, until the wine has evaporated, about 10 minutes. Then continue to boil, stirring frequently, even constantly, until the sauce has reduced and thickened so much that when it is stirred you can see the bottom of the pot for a second. This can take as long as 20 minutes. Stir in the tomato paste at this point and cook another minute. (If, when reheating, the sauce seems too tight, stir in a little water to loosen it.) Season with plenty of freshly ground pepper. Correct the salt, if necessary. Serve the meat with about 1/2 cup of sauce, save the rest of the sauce for your pasta (tomorrow’s post). 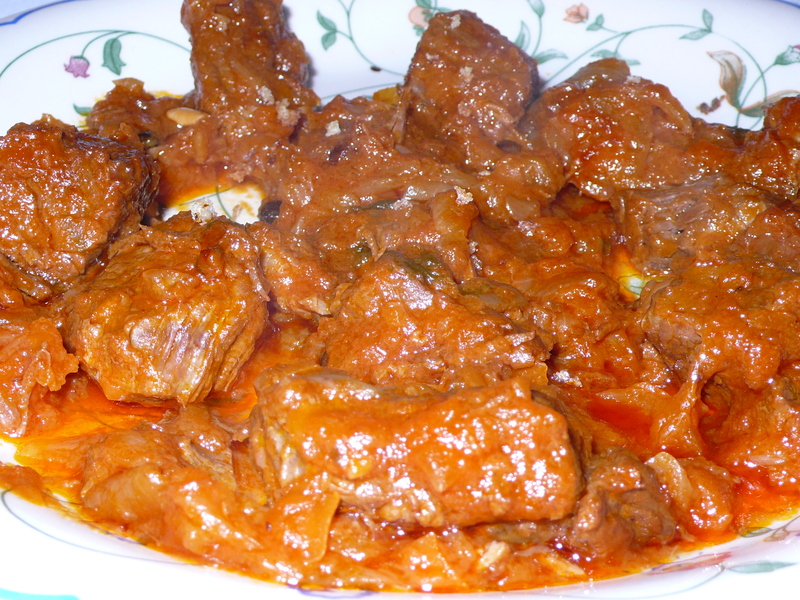 If the meat did not become entirely tender during its cooking with the onions, slice it and layer it with spoons of the sauce in a baking dish or casserole. Cover (with foil if necessary) and reheat in a 325-degree oven until heated through and almost fall-apart tender. ~ by italicious on January 31, 2009. I don’t eat meat beyond seafood, but you’re tempting me with this recipe!